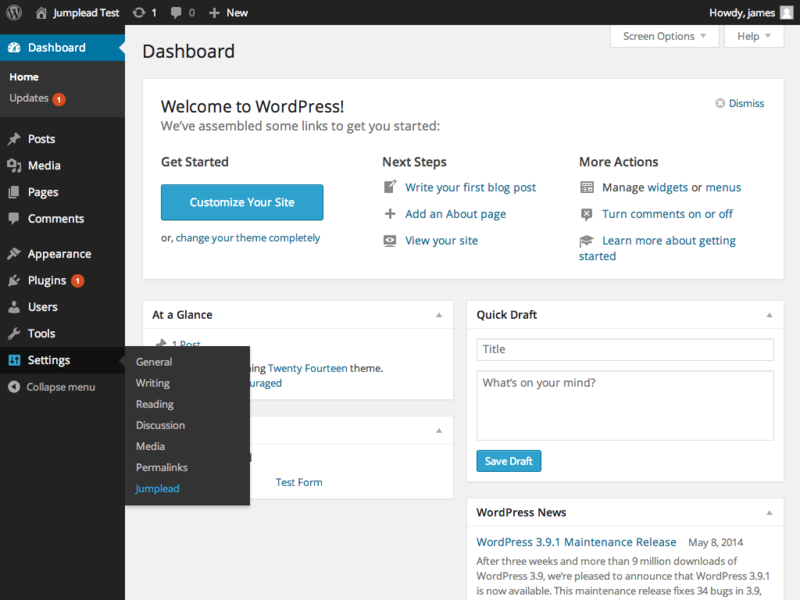 You can use our Wordpress plugin to add the Jumplead code to your pages and make shortcodes available for your Jumplead conversion forms. 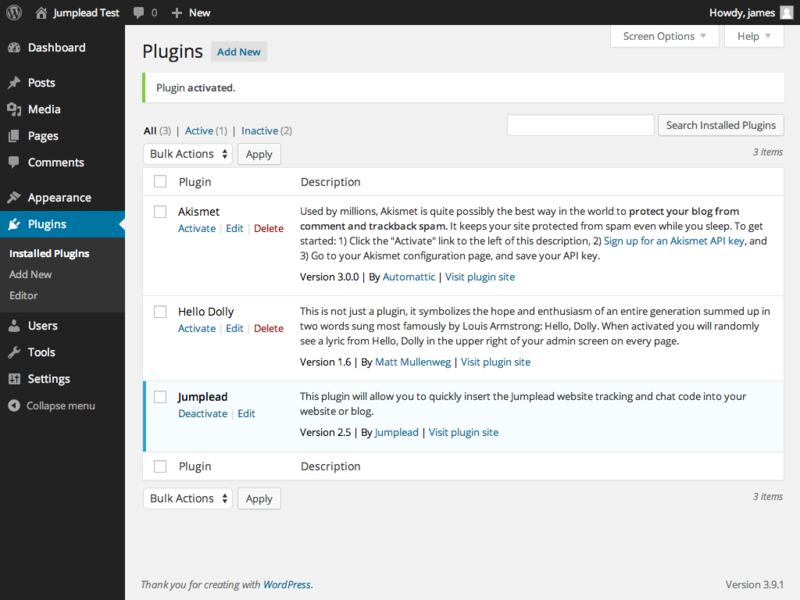 To add the Jumplead plugin click on ‘Plugins’ in your admin center and search for ‘Jumplead’. 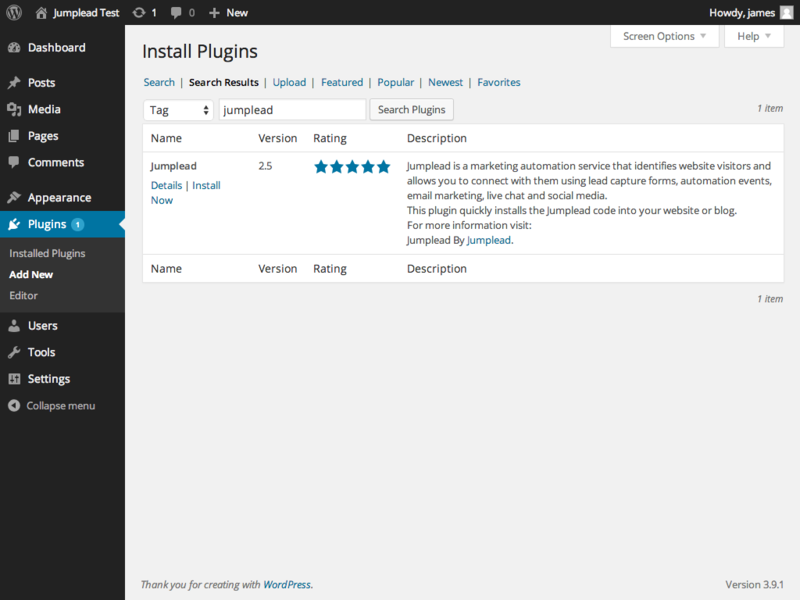 Select the Jumplead plugin by clicking ‘Install now’. 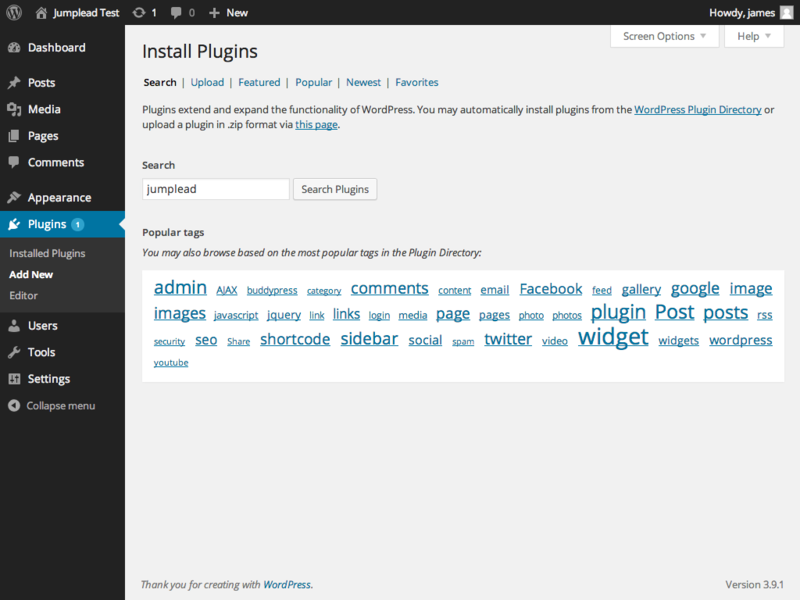 Once installed, click ‘Activate’ to enable your plugin. Then under Settings select Jumplead. Enter your Jumplead Tracker ID and click Save Changes. You will find your Tracker ID on the Tracking code tab of Jumplead Settings. 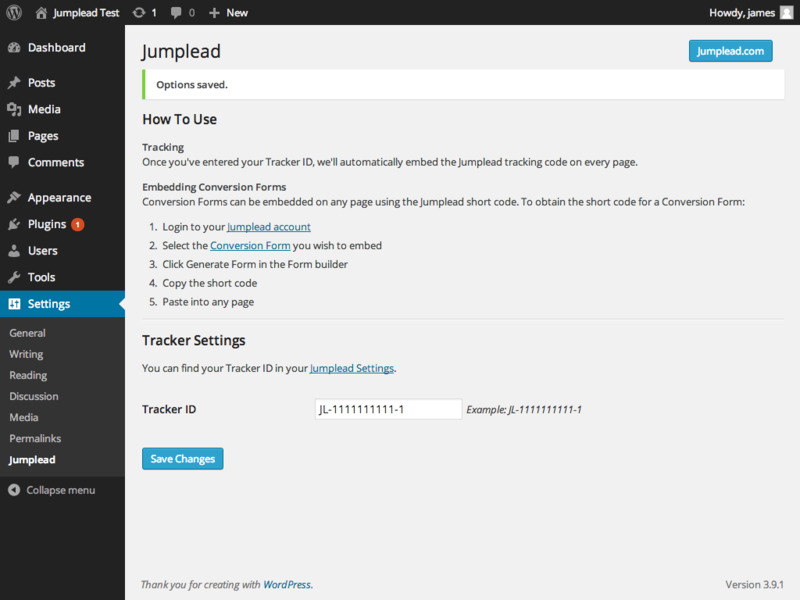 Once you have added your Tracker ID, you will see instructions on how to add Jumplead shortcodes for conversion forms to your website. We have integrations with Formidable, Contact Forms 7 and Jetpack via the plugin that will allow you to create contacts and trigger automations.